Keen to register a project, apply for a Creative Grant or get tickets? You’ll need a Burner Bio – but if you created one for our last event, you don’t need to create a new one. 1) Why do we need a Burner Bio to buy tickets? When you create a Bio it issues you with a unique ticket code, that’s tied to your ID number (or Passport number if not an SA citizen). That’s how we verify tickets at our event gate. Bio’s also enable the event team to identify longstanding creative contributors and allocate tickets to their projects, via Direct Distribution. If you plan on buying tickets, create a Bio. And, if you’re buying tickets for someone else, let them know they need a Bio to receive their ticket. Send them this link. 2) Will the folk at AfrikaBurn HQ read through every single Burner Bio and how will they use the information received in the Burner Bio? Hell, no. Bio info just enables us to get a sense of who’s done (and is doing) what, when, and review registered creative projects and related ticket requests. Based on Bio info on projects and past participation and/or motivation, the Creative Lead on registered projects will be allocated tickets for the project via Direct Distribution. Buner Bios also form the basis of your profile here on our site – and will provide you with access to a new set of project tools that will enable you to collaborate with other project crews and individuals. 3) Who will have access to the Burner Bio information? 4) Are Burner Bios created so that AfrikaBurn can select who comes to the event? No – there’s no restriction on who fills out a Bio, and no selection or vetting of participants. 5) Who needs a Burner Bio? 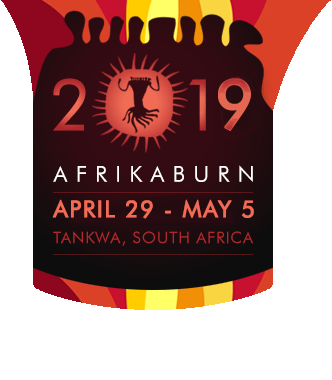 All adults participating in AfrikaBurn need a Bio in order to purchase a ticket, including all longstanding participants eligible for Direct Distribution tickets, but children don’t have to have one. Without one, you won’t be able to buy or validate a ticket. Once you’ve created your Bio, you’ll receive a code that you will then use to purchase your ticket on ticket day/s. The code will be visible to you at the upper left of your screen once you’ve created your Bio and clicked the confirmation link you’ll receive in an email. 6) Where do I create my Burner Bio? First you start with registration, and then you proceed to the Questionnaire. Start here. If you’ve already created a Bio, you wouldn’t need to create one again for the 2018 event. 7) When do I create my Bio? Try to do it well before ticket sales open – Bio registration will close at 10AM on ticket sales days, in order to prevent our system being overloaded. The sooner you create one, the sooner you’ll figure out how it works and won’t be caught napping on ticket days. Thanks for reading – if you know anyone who could use this info, please share it with them, thanks.